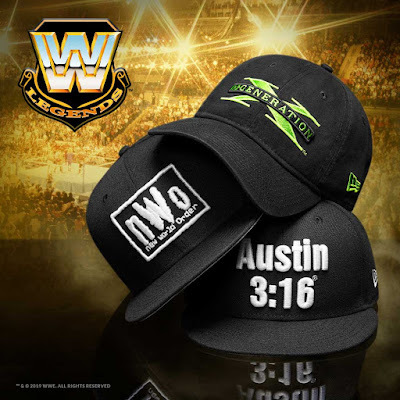 New Era Cap continues its epic collaboration with the WWE with a second line of officially licensed WWE hats this time featuring some of the promotion’s all time great Superstars! The WWE Legends Collection features the logos of current and future WWE Hall of Famers Stone Cold Steve Austin, Shawn Michaels, and the Ultimate Warrior, and two iconic HOF stables, D-Generation X and the nWo. Each design is available as a 59FIFTY fitted hat for $37.99, a 9FIFTY snapback for $32.99, and a 9TWENTY adjustable hat for $23.99. Head over to the New Era Cap online store now to pick up these new limited edition WWE Legends caps.